A meeting planned for next week between Prime Minister Benjamin Netanyahu and Russian President Vladimir Putin has been canceled by Moscow amid anger over Israel’s airstrikes in Syria, Israel’s public broadcaster reported on Tuesday. Israel had already begun preparing for the meeting, which was to be held in Paris during events marking Armistice Day, before it was called off by Russia, according to Kan news. The Prime Minister’s Office did not deny the report, but told Kan that France requested meetings not be held on the sidelines of the World War I commemorations in Paris. A new date for a meeting between the Israeli and Russian leaders has yet to be set, according to the report. Netanyahu may cancel his Paris trip altogether after the Putin meeting was called off, the Ynet news website reported on Tuesday night. The two countries have been grappling with the fallout over the downing of a Russian military plane in September by Syrian air defenses during an Israeli airstrike in Syria. Russia blamed Israel for the downing of the plane — a charge rejected by Jerusalem — and sent advanced S-300 anti-aircraft systems to Syria in the wake of the incident, in which 15 Russian servicemen were killed. Israel has also rebuffed a Russian claim its jets hid behind the Russian reconnaissance aircraft. While there has been a noticeable drop in reported Israeli raids following the September 17 incident, a senior Israeli official last month said the Jewish state has continued attacking targets in Syria. Russian Foreign Minister Sergey Lavrov on Monday accused Israel of endangering Russian troops by not informing Moscow before striking in Syria on several occasions. Israel and Russia have coordinated their military efforts in Syria in recent years, in order to avoid friction and accidental conflict. Israeli officials do not generally discuss the full extent of that coordination, but they stress that the Israeli military does not seek Russian permission before carrying out operations. Last month, Hadashot TV news reported that Russia was seeking to reset the terms of Israeli military operations in Syria and overhaul the existing Jerusalem-Moscow coordination system. Russia insists that it receive further advance warning of Israeli strikes, the TV network said, though the report did not say how much. Israel usually informs Russia minutes before an airstrike. Such a demand would likely limit Israel’s freedom of maneuver in Syria, with the report noting it could endanger Israeli aircraft and allow Iranian operatives more time to hide materials being targeted. A senior diplomatic source quoted in the report said the demand was unacceptable operationally and that Israel must not acquiesce to it. Defense Minister Avigdor Liberman later rejected the reported demands. 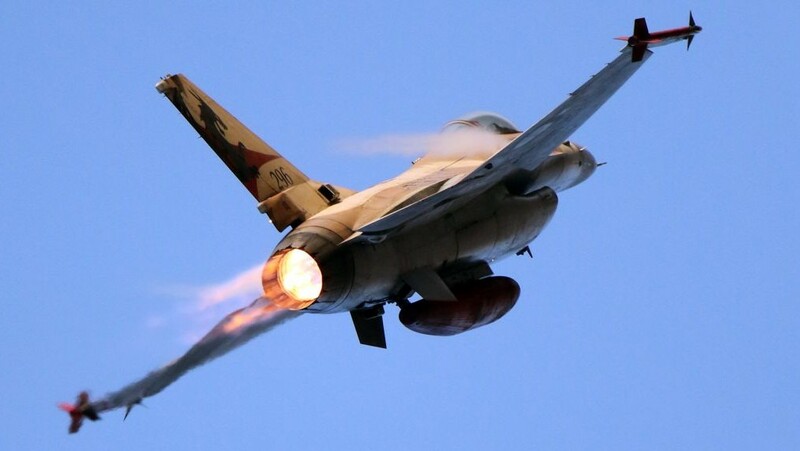 The Israeli Air Force has carried out hundreds of strikes in Syria in recent years against targets linked to Iran and its Lebanese proxy Hezbollah, who Israel says are working to establish a military presence there that could threaten the Jewish state. Like Russia, both Iran and Hezbollah are fighting on behalf of Syrian President Bashar Assad’s regime in the Syrian civil war. A satellite imaging company published photos in October it said show four S-300 batteries deployed at a newly constructed site near the northwestern Syrian city of Masyaf, where Israel has reportedly carried out raids on targets allegedly tied to Syria’s chemical weapons program.